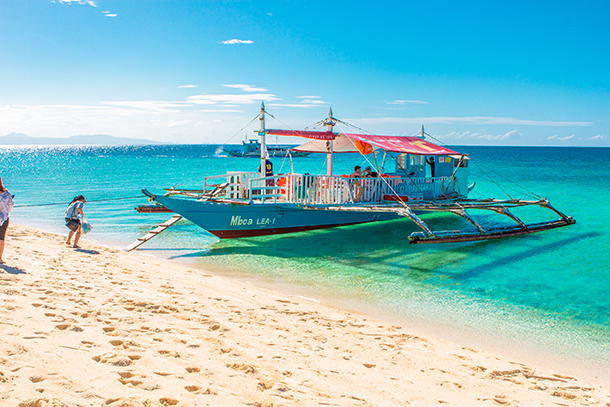 The Philippines is an archipelago with over 7,000 islands that varies in numbers depending on high or low tides. Admittedly, the number of islands is pretty much intimidating especially for travellers visiting the country for the first time. Each town, city, province and city offers a lot of amazing and diverse attractions that travellers of all types will love including mystical underground rivers, enchanting caves, beautiful white sand beaches and sandbar and mesmerising mountains. 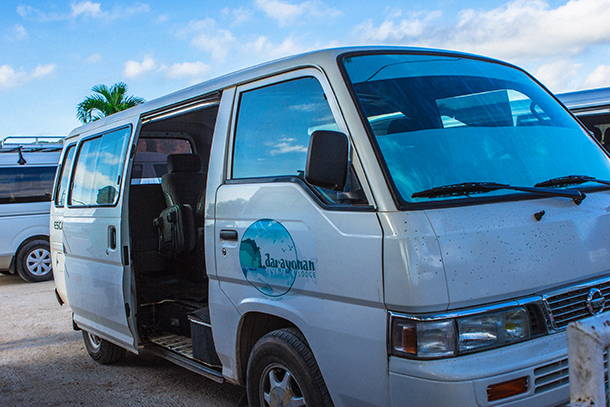 To get there, the variety of transportation is equally as unique and can be a bit overwhelming if you don’t know the area, the prices and the mode of transportation available. Hence, to help you out, I have come up with a basic guide to the transportation in the Philippines. I will not be describing in details the highways and expressways including its fees as the country is very much developing and fees can increase and decrease depending on the economy. What I will be discussing is about the basic information that one must know when visiting the Philippines. 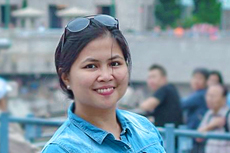 Also as it is impossible as of the moment to enumerate them one-by-one, I’ll just discuss the different type of transportation in the Philippines as well as what can be commonly expected. Please do take note that terminals are available for most of these types of transportation so make sure to ask locals where the nearest terminals are. Air transport is very convenient if you want to hop from one island to the next but it can be pretty expensive. Piso Fare is one of the promos that most people are watching out for to get the cheapest rates. The Philippines have several airports in most of its cities thus making air travel a lot more convenient. 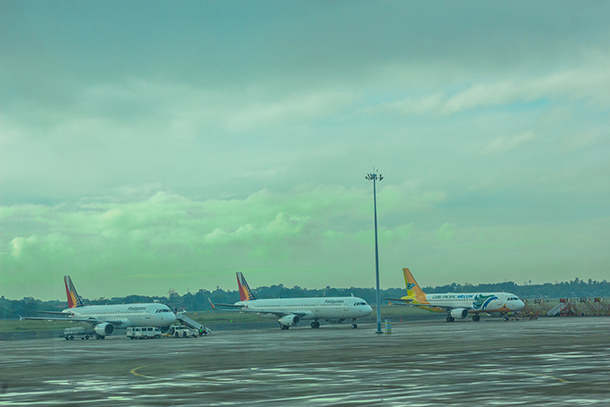 There are several local and international airlines that travel to and from the Philippines. If you are already in the Philippines, the main cities that have most flights to and from your desired destination are Manila and Cebu. Local airlines such as Cebu Pacific, Philippine Airlines and Air Asia serves most of the travellers here. Of course, expect some delays at time especially for this traveling to busier airports including Manila. Better ensure that your travel itineraries are flexible as possible. The most common mode of transportation usually found in cities are jeepneys. These are four-wheeled vehicles that are often colourful and eye-catching with various designs on its body. Jeepneys are unique in the Philippines and are mostly seen in various cities like Tacloban, Cagayan and even in Cebu and Manila to name a few. The jeepneys have its own designated route. It is advisable to know your destination beforehand and just look at the signage on the jeepneys’ front window to know its route. Also rates apply depending on the distance. The country has its minimum fare rate for a specific number of kilometres. 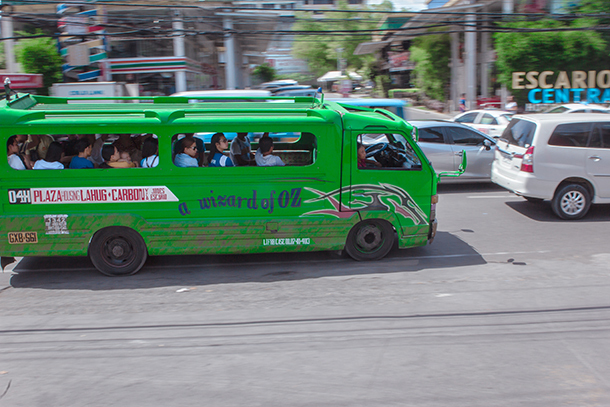 There are also Multicabs that are smaller versions of the Public Utility Jeepneys (PUJ)/ Jeepneys but equally as unique. Here in Cebu, the city has a combination of multicabs and jeepneys. Most cities in the Philippines are like that. Seating capacity is a lot smaller and can be a bit cramped especially if you’re a tall person. Rates and routes are similar to jeepneys too. 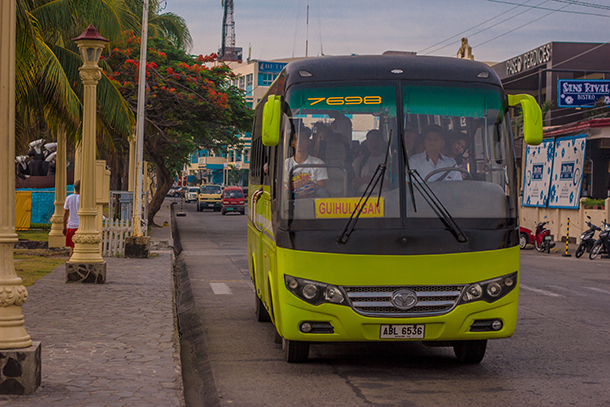 Buses are often the mode of transportation in the provinces. 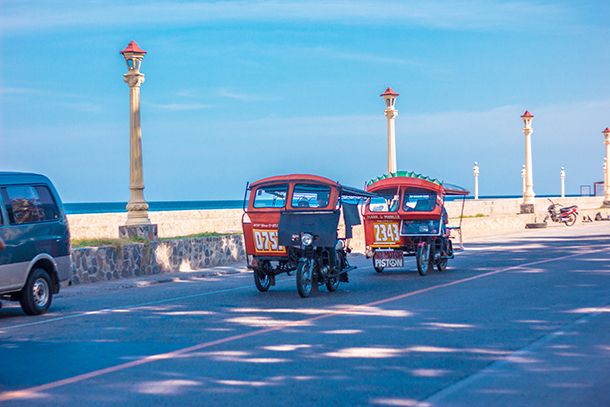 It is the most common transportation in the Philippines if you are from the city and would like to visit other provinces. Buses area usually available for longer distances. In Cebu for example, f you are planning to go to Moalboal, Daanbatayan, or Medellin to visit Fantastic Island, taking the bus or the van is the best way to go. This also applies to other provinces like in Negros and Leyte. There are air-conditioned and non-airconditioned buses that you can choose from, depending on your preference. Also, because of its seating capacity, buses tend to have more stop overs to pick passengers along the way. Vans are definitely another way to get to one province to another. Same with buses, vans are available for long distance traveling but can be a bit more expensive. This mode of transportation can be a bit more faster than buses because it has fewer stops and is more lighter on the road. Van’s seating capacity are also much more smaller than buses so it can get easily filled in. 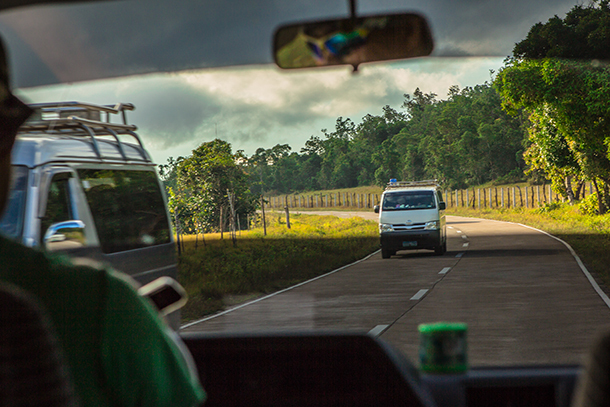 Vans are also commonly seen at tourist destinations like Palawan and Bohol as this is the common vehicle tour agencies usually use for land trips. 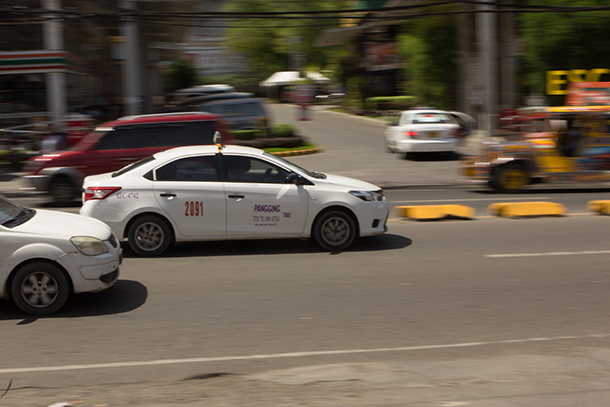 For major cities like Cebu, Davao and Manila, taxis are also available. They are often the most convenient, albeit expensive, mode of transportation. Like most countries, over pricing of taxi fare is common in some areas so make sure that the meters are turned on when you are inside. Grab Taxi and Grab Car are also very popular here nowadays. Just download the App if you want a more convenient and fixed rate for transport within the cities. 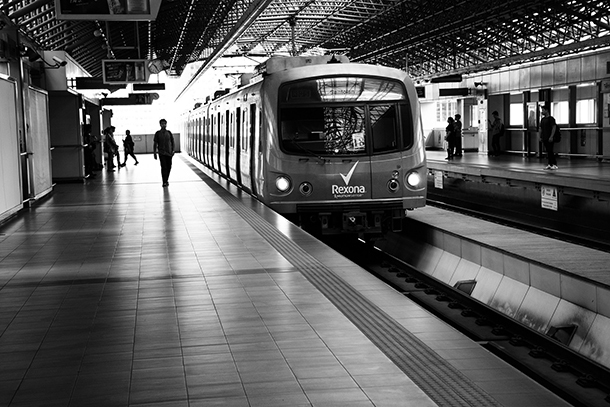 The Manila Metro Rail Transit System (MRT) and the Manila Light Rail System (LRT) are part of Metro Manila’s rail infrastructure. These are trains that go around several stops in Metro Manila carrying several thousands of passengers per day. If you want a faster commute in the metro, then this is one of the fastest but can also be the most crowded especially during rush hours. Like most public transportation with crowds, keep safe always and be conscious of your valuables. The Tricycle is basically one of the main transportation in smaller areas in cities that are basically not accessible by Jeepneys and Multicabs. Tricycles are very common in places like Tacloban City, Puerto Princesa and Tagbilaran to name a few. 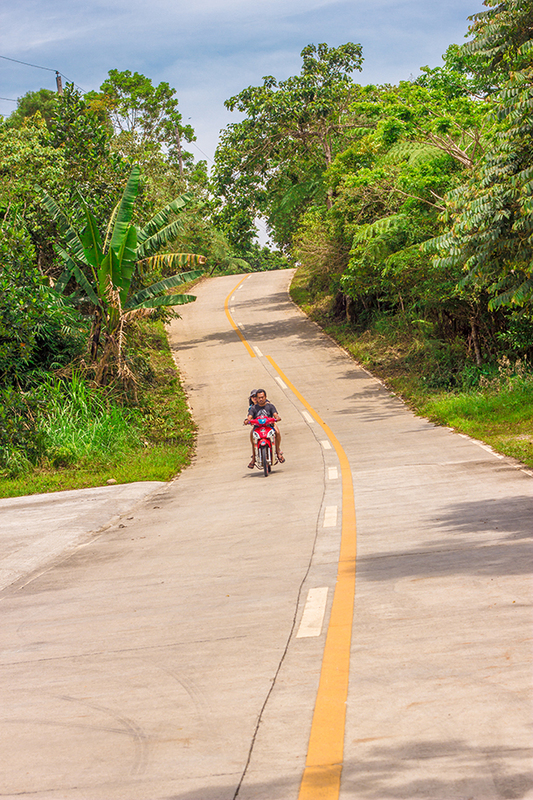 For roads that are a lot more smaller or for areas where you’ll need to ride uphill or downhill, motorcycles (locally known as a habal-habal in some provinces) are the most common transportation you’ll come across. Roads to Osmeña Peak and to the Twin Crater Lakes are examples of routes where the motorcycle is used as a public transportation. Most motorcycles can take up to 2 passengers only. Though in my earlier years, I’ve seen some motorcycles that carry up to 4 passengers or more. The route for this type of motorcycles are usually to more rural areas where transportation is pretty hard to come by. In my hometown in Palo, one of our main transportation when going around the town is the Pedicab. Some areas in the Philippines call it ‘Sikad’. Basically, its a pedal-operated tricycle not unlike those found in Intramuros. As it is manually operated, it can be a bit slow than other mode of transportation, but personally its a more environment-friendly way to go around. 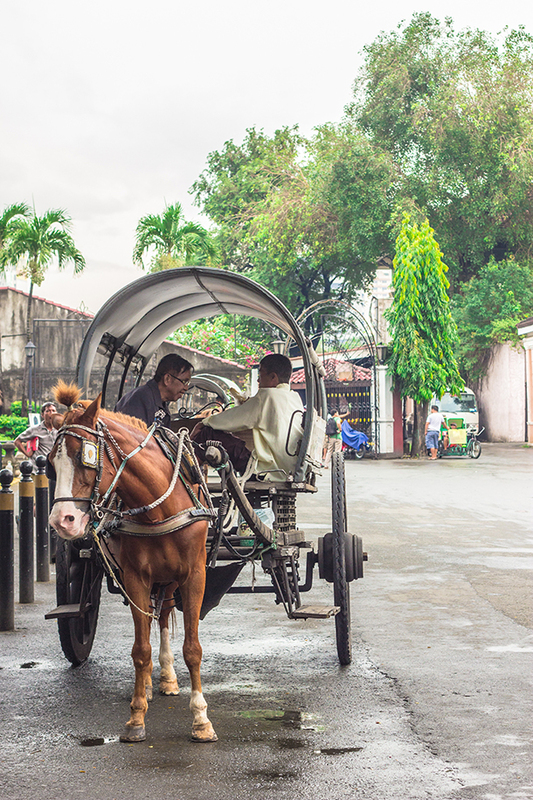 Kalesa are horse-drawn carriages that has been one of the main transportation in the Philippines years and years ago. Now, its basically a type of transportation used for tourism. 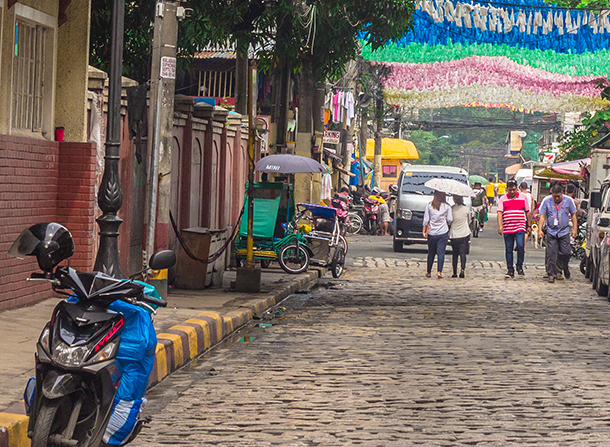 Places like Intramuros and Vigan have kalesa as a way to take guests around historical places. If you are to travel from one island to the next, several shipping lines are available to take you there. These are pretty good options for those who find planes expensive and land travel stressful. 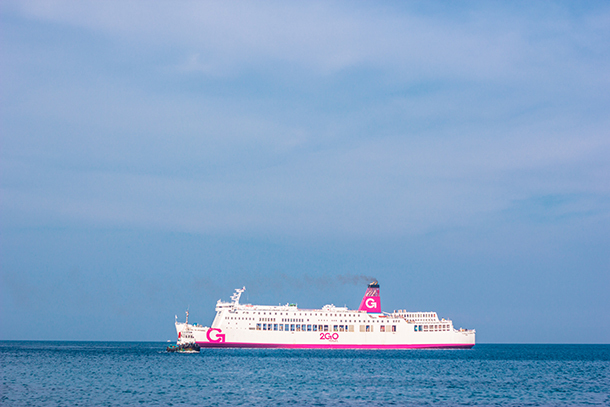 Passenger Liners and RORO (Roll On, Roll Off Ferries) are often referred to as ‘slow boat’ as travel time can take up to 6 hours the minimum (well, of course depending on the location). These are large ships that can carry hundreds of passengers at a time. Sometimes, trucks and cars can also be loaded and transported. If you have a lot of time to spare, then this is a pretty economical option for you. Purchasing of tickets are usually better purchased in advance to ensure availability. Although if off peak, on-the-day booking is alright. If you’re a bit of in a hurry or have some spare peso (Philippine Currency) with you, then the fast craft is a good alternative to travel by sea. 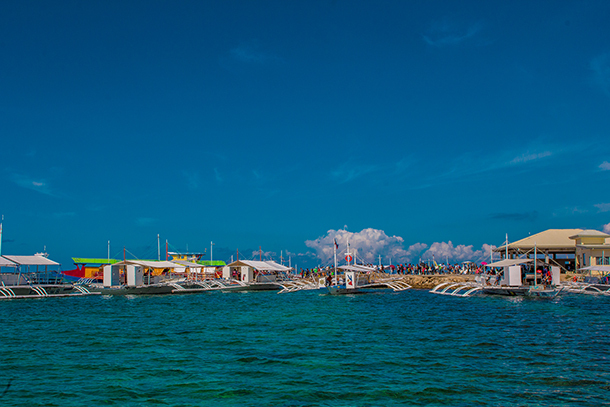 Fast Crafts are usually available for transportation between bigger islands like Cebu, Bohol, Leyte, Dumaguete, Siquijor and a lot more. Personally I find fast crafts pretty convenient especially for business travels. I’ve had moments wherein I’ve arrived at the port close to departure time. 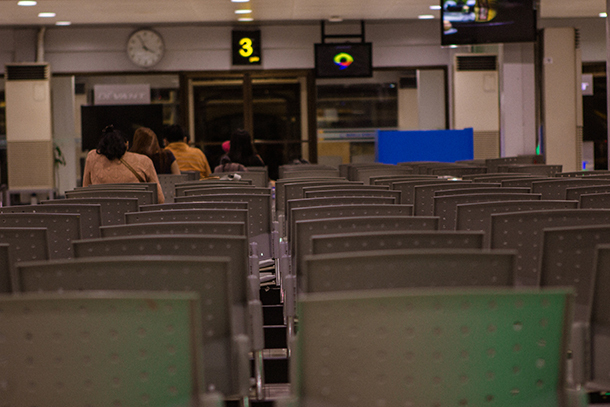 Unlike airports wherein close calls like this means you’ll be denied entry, fast crafts (or boats for that matter) are pretty much lenient when it comes to late check in. Though of course, make sure that you have already purchased your tickets beforehand to avoid further delays. Most fast crafts have ticketing offices within cities so that purchasing of tickets beforehand are convenient. In more smaller islands, pump boats/ outrigger boats are the common transportation to take between islands. These are normally open-aired boats much similar to those used during island hopping in Mactan and in Bohol. Although, if they are for commercial boats, there’ll be more chairs at the centre just like our pumboat used in Kalanggaman. Have you been to the Philippines? Have I missed another transportation in the country that you’d like to share? Share it below! Good info! Those tricycles look like a great open-air way to see the islands. I’ve not been to the Philippines yet, but the islands look gorgeous! Super helpful – definitely using this when I go to the Philippines! This is a very helpful article! I would love to visit the Philippines, and I think the best way to get around would be by boat. You can get from island to island and have beautiful views along the way as well! While in cities, I think pedicabs would be a fun way to get around as well! Usually when you see pictures or videos on the Phillipines, you see a lot of tricycles…but this is the first time I’ve seen a jeepney! How cool. This is a great transportation guide! 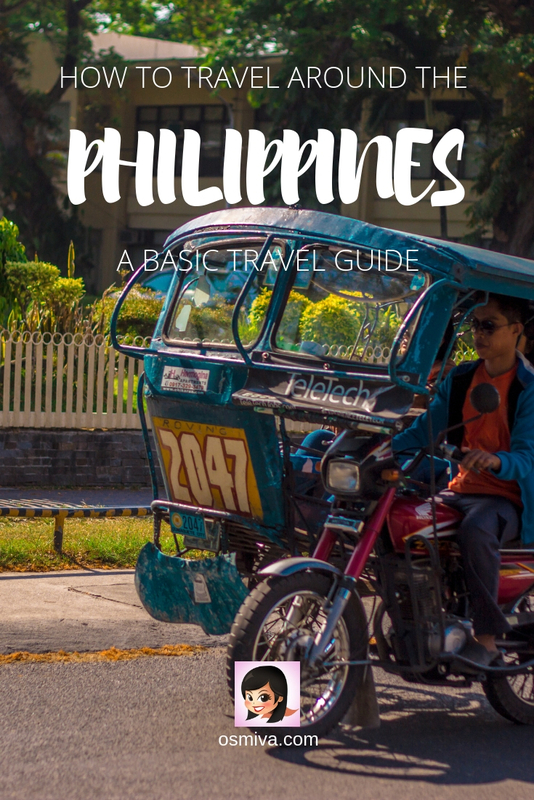 The scale of the Philippines is astounding… This is a really helpful guide! I haven’t been yet, but a few of these transportation methods are familiar to me from elsewhere in SE Asia. This is a great information. It can be daunting finding your way around in a different country. Knowing all the transportation available to you before you travel can make you trip a little less stressful! Thanks for sharing. Wow 7000 island would be so intimidating and i cannot imagine each would offer a lot of amazing and diverse attractions. I wonder how many a person can visit! I found the need to fly via Manila quite irritating in the Philippines to get from A to B. We tried to travel by boat as much as possible. It is one of the joys of such a wonderful archipelago (as long as you don’t get sea sick). I basically like all the public transportation in the Philippines especially jeepney that is very unique and only can be found in the Philippines! Amazing, right? And kalesa too is super cool! The only downside is, our Mrt and LRt are always too crowded that you get so annoyed all the time! haha! Love this guides tho! I love trying the metro line in e wry place I visit. Happy to know the Philippines has me covered as well. I would be terrified to try the motorcycle…Lol. Love this guide! Things like this should be given more priority and attention. 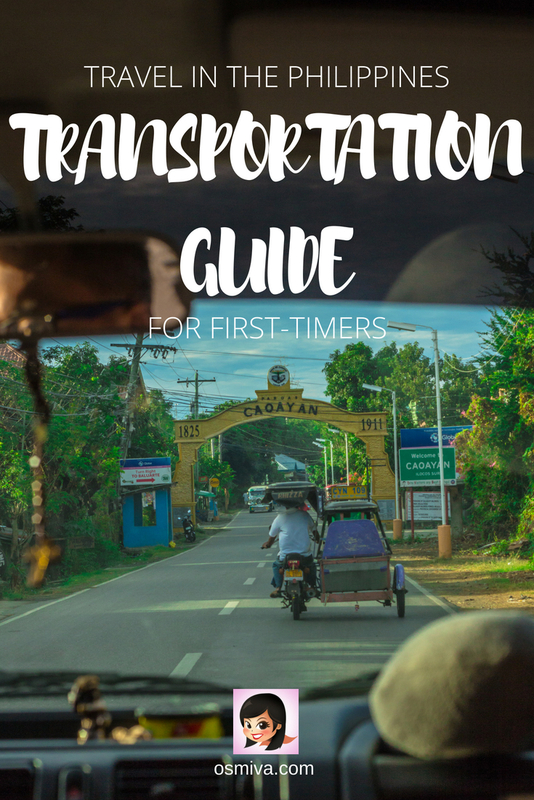 Since this kind of articles will surely help a lot of travelers who will be traveling Philippines for the first time and doesn’t know much about what to ride to get to certain places. Anyways, thanks a lot for sharing such informative post!